Were an artist to look upon a Petunia and wish that it had a delicate pattern traced upon its petals, he would create in his mind the Salpiglossis. The funnel-shaped flowers are borne upright upon slender but strong branches two feet tall. The flowers of Salpiglossis sinuala are crimson and gold, yellow and white, darkest maroon, scarlet and gold, violet and gold, and of many intermediate colors; they are velvety in texture, exquisitely penciled and curiously marbled. 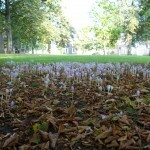 The plants are most unpromising in appearance when young. So poor do they appear that some may forget that homely babies sometimes grow into persons of character. So with the Salpiglossis: when one least expects it, the plants decide to thrive, and they send up glorious stems of bloom often 3 feet tall. Where to Plant. Unlike the Petunia, this flower may be cut and will often last longer in water than on the plants. 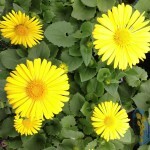 As a garden subject it is attractive, rivaling most other annuals in its regal colors. Salpiglossis is not a prolific bloomer, but it is a dainty, retiring spirit, deserving a quiet corner and a few white-robed neighbors. It will not contribute much to color effect, but it will make up for this shortcoming by an esthetic influence much to be desired in the garden where contrast and variety must constitute a great proportion of what we call beauty. They are recommended by an English writer for Rhododendron beds and must be tolerant of an acid soil. GENERAL. The seeds are extremely fine and require unusual care when started. It is wise to sow them indoors in March, although seed sown in the open soil will bloom nicely. 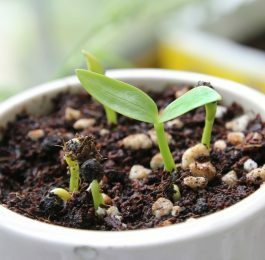 When the warm days of Spring arrive and the soil is warm, the indoor-grown seedlings may be set out six inches apart. 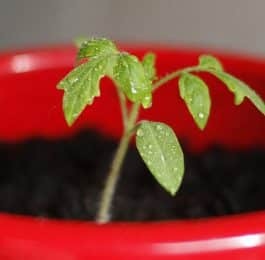 Little difficulty is experienced in getting the plants to grow after the seed has once germinated. Pinching out the centers of the young plants will cause them to branch. Sandy soils are best suited to Salpiglossis. It grows nicely in partial shade. It is wise to give a stake to each plant to keep them standing erect. 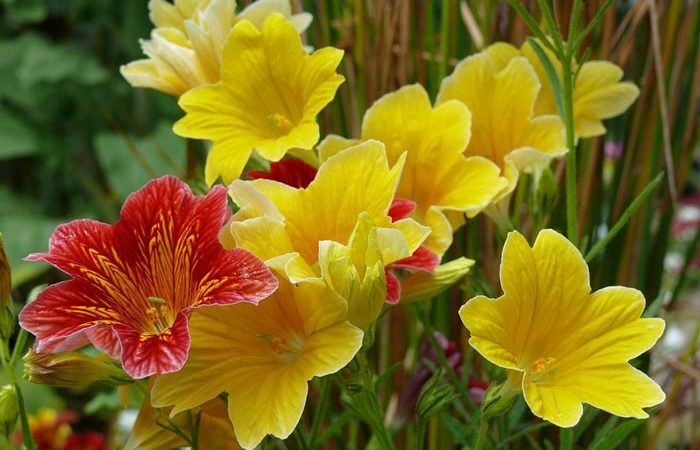 The growing of Salpiglossis in the greenhouse is discussed on.